In recent years, municipal water sources have increased the amount of phosphates added to their systems to inhibit corrosion in pipes. Since phosphates are good for corrosion, and have no harmful effects as far as we know, this makes sense. 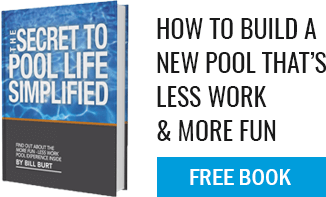 The caveat for your pool, however, is that phosphates can destroy chlorine’s properties thereby rendering your chlorine levels inaccurate and leaving you exposed to issues. This can lead to many water clarity issues including algae blooms and cloudiness. While it’s true that you will always have trace amounts of phosphates in your swimming pool water, the trick is to maintain a low level so as not to exacerbate other issues like algae (phosphates essentially feed algae blooms). In addition to frequently testing your water and ensuring that your pH and alkalinity levels are correct, you will also need to check your chlorine. This can be performed with a weekly kit or our professional staff is more than happy to help you. You should also regularly be shocking your pool. Right now, with our current weather and recent rain, we recommend shocking your pool at least once a week. If after these steps, you check your phosphate levels and your pool shows too high of levels, consider using a phosphate remover. Make the most of the summer season by maintaining your pool properly, or consider letting our team do it for you!